This is the eighth and final section of the English translation of an interview in Japanese with Hiroshi Tada. You may want to read the previous sections first:Part 1: explore Tada Sensei’s samurai ancestry and his encounters with Shotokan Karate Founder Gichin Funakoshi.Part 2: find out how Hiroshi Tada met Shin-Shin Toitsu-Do Founder Tempu Nakamura.Part 3: discover Tada Sensei’s thoughts on "telepathy" training.Part 4: read Tada Sensei’s thoughts on Japanese Budo and Kata training.Part 5: learn about the most influential person in the history of Japan, and their relationship to Japanese Budo. Part 6: find out why Hiroshi Tada’s father was told never to read books on archery. Part 7: discover why you should never eat watermelon after a fast.You may also be interested in "The Day I Entered Ueshiba Dojo", in which Hiroshi Tada recounts his first encounter with Aikido Founder Morihei Ueshiba O-Sensei.You may notice that the tone of the interview is quite conversational. This is the way that it appears in the original Japanese – the original was not heavily edited, with the result being that the natural conversational tone was preserved. However, this also means that the discussion is sometimes less focused then a more heavily edited interview would be. This is part 7 of the English translation of an interview in Japanese with Hiroshi Tada. 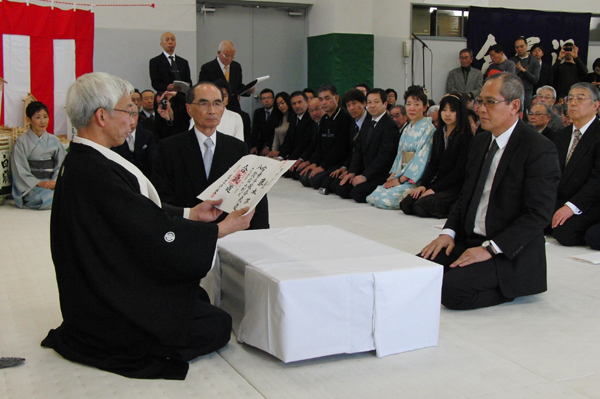 You may want to read the previous sections first:Part 1: explore Tada Sensei’s samurai ancestry and his encounters with Shotokan Karate Founder Gichin Funakoshi.Part 2: find out how Hiroshi Tada met Shin-Shin Toitsu-Do Founder Tempu Nakamura.Part 3: discover Tada Sensei’s thoughts on "telepathy" training.Part 4: read Tada Sensei’s thoughts on Japanese Budo and Kata training.Part 5: learn about the most influential person in the history of Japan, and their relationship to Japanese Budo. 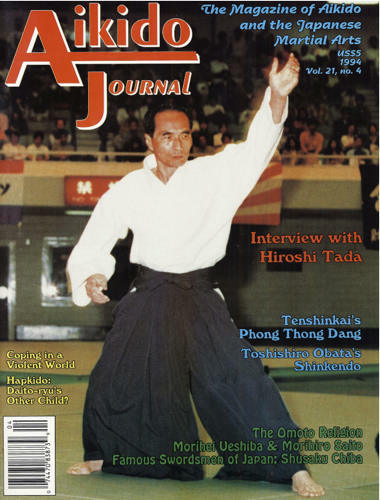 Part 6: find out why Hiroshi Tada’s father was told never to read books on archery.You may also be interested in "The Day I Entered Ueshiba Dojo", in which Hiroshi Tada recounts his first encounter with Aikido Founder Morihei Ueshiba O-Sensei.You may notice that the tone of the interview is quite conversational. This is the way that it appears in the original Japanese – the original was not heavily edited, with the result being that the natural conversational tone was preserved. However, this also means that the discussion is sometimes less focused then a more heavily edited interview would be. This is part 6 of the English translation of an interview in Japanese with Hiroshi Tada. 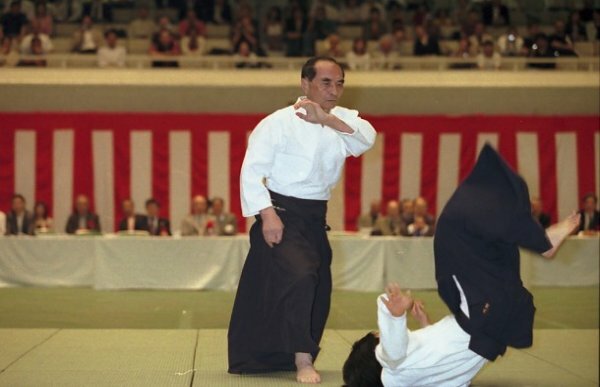 You may want to read the previous sections first:Part 1: explore Tada Sensei’s samurai ancestry and his encounters with Shotokan Karate Founder Gichin Funakoshi.Part 2: find out how Hiroshi Tada met Shin-Shin Toitsu-Do Founder Tempu Nakamura.Part 3: discover Tada Sensei’s thoughts on "telepathy" training.Part 4: read Tada Sensei’s thoughts on Japanese Budo and Kata training.Part 5: learn about the most influential person in the history of Japan, and their relationship to Japanese Budo.You may also be interested in "The Day I Entered Ueshiba Dojo", in which Hiroshi Tada recounts his first encounter with Aikido Founder Morihei Ueshiba O-Sensei.You may notice that the tone of the interview is quite conversational. This is the way that it appears in the original Japanese – the original was not heavily edited, with the result being that the natural conversational tone was preserved. However, this also means that the discussion is sometimes less focused then a more heavily edited interview would be. This is part 5 of the English translation of an interview in Japanese with Hiroshi Tada. You may want to read the previous sections first:Part 1 : explore Tada Sensei’s samurai ancestry and his encounters with Shotokan Karate Founder Gichin Funakoshi.Part 2 : find out how Hiroshi Tada met Shin-Shin Toitsu-Do Founder Tempu Nakamura.Part 3: discover Tada Sensei’s thoughts on "telepathy" training.Part 4: read Tada Sensei’s thoughts on Japanese Budo and Kata training.You may also be interested in "The Day I Entered Ueshiba Dojo", in which Hiroshi Tada recounts his first encounter with Aikido Founder Morihei Ueshiba O-Sensei.You may notice that the tone of the interview is quite conversational. This is the way that it appears in the original Japanese – the original was not heavily edited, with the result being that the natural conversational tone was preserved. However, this also means that the discussion is sometimes less focused then a more heavily edited interview would be. This is part 4 of the English translation of an interview in Japanese with Hiroshi Tada. 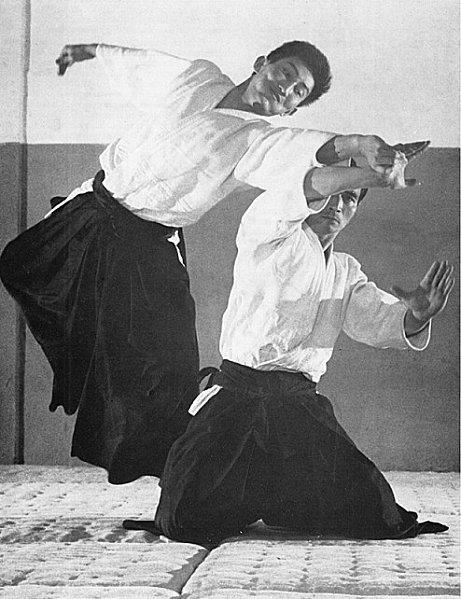 You may want to read Part 1 first to learn about Tada Sensei’s samurai ancestry and his encounters with Shotokan Karate Founder Gichin Funakoshi, Part 2 to learn about how Hiroshi Tada met Shin-Shin Toitsu-Do Founder Tempu Nakamura, and Part 3 to learn Tada Sensei’s thoughts on "telepathy" training.You may also be interested in "The Day I Entered Ueshiba Dojo", in which Hiroshi Tada recounts his first encounter with Aikido Founder Morihei Ueshiba O-Sensei.You may notice that the tone of the interview is quite conversational. This is the way that it appears in the original Japanese – the original was not heavily edited, with the result being that the natural conversational tone was preserved. However, this also means that the discussion is sometimes less focused then a more heavily edited interview might be.